Over the next two weeks Documentary Drive will be spotlighting a few of the great 2016 short films produced by the New Zealand-based documentary initiative Loading Docs. 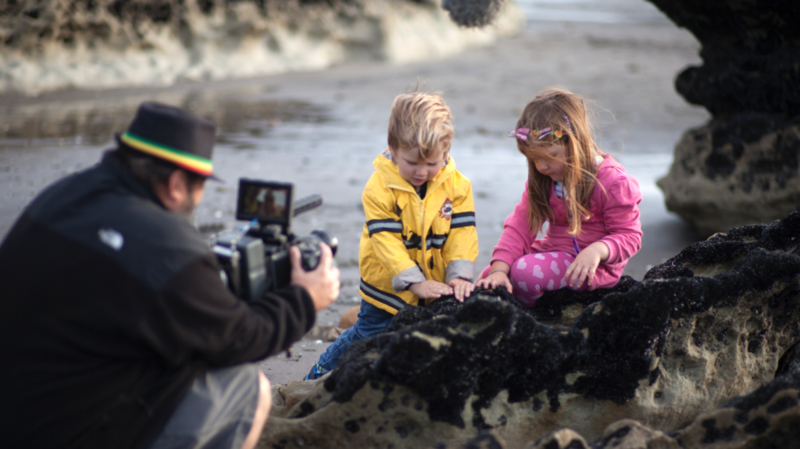 Each year, with support from the NZ On Air Digital Media Fund and the New Zealand Film Commission, Loading Docs releases a collection of unique three-minute-long documentaries centered around a single theme. This year’s theme—CHANGE. What does type 1 diabetes look like from the perspective of a pre-schooler? Directed by Joe Hitchcock and produced by Morgan Leigh Stewart, “Blood Sugar” gives viewers a special glimpse into the life of Hitchcock’s four-year-old daughter, Dahlia, as she experiences the whimsicalness of childhood blended with the daily realities of growing up with a chronic medical condition. There are at least four ways the Loading Docs’ theme presents itself in this well-crafted short. The first and most obvious being the major life change a diagnosis of type 1 diabetes has on an individual and their family. The second, which will be familiar to anyone with type 1 diabetes (myself included) or to those of you who are caring for a child who has it, is the fact that it’s not stagnant. Throughout the day insulin requirements change, the amount of carbohydrates eaten change, activity levels change, hormones change—blood sugars change. We’re constantly calculating changes, living them out, or writing them down. Change is the white noise that plays through our days, hours, and minutes. At the film’s 1-minute mark the perfect symbol of change appears on-screen in the form of the almighty, occasionally bloody, often annoying, record of change—the diabetes logbook. With type 1 diabetics representing only about 10% of the population of those living with diabetes, type 2 being the more prevalent variety, young Dahlia isn’t the face many without prior knowledge of the different kinds of diabetes will expect or associate with the term. Thanks to this beautiful little doc, however, she is one they will remember and perhaps now have a greater sense of awareness and understanding that diabetes affects all sorts of people and isn’t just the single condition that society too often generalizes it to be. 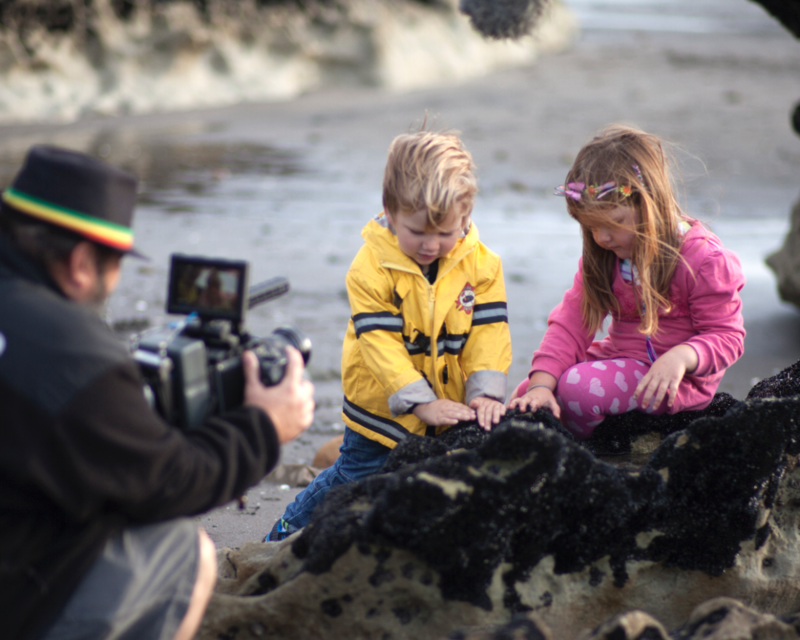 Cinematographer Simon Raby filming Dahlia and friend at Port Waikato, NZ. There are numerous ways Joe Hitchcock could have approached the making of this film. Two things that impressed me and set the film apart from other diabetes-related documentaries are its tone and structure. When Dahlia was first diagnosed with type one diabetes I didn’t know what it was, so I jumped online and found technical explanations about the pancreas, beta cells and insulin. As a parent, what I really wanted to know is how does a child live with type one diabetes and how do they feel about the change? So to make #BloodSugarDoc, we followed Dahlia around for 2 days, while recording everything she said. We initially edited the project like a voice-over with pretty shots where she explained her story, but it felt like a commercial and I really wanted to capture her take on life and tell the story from her perspective. So we asked Dahlia for input at every stage of production including the music and sound mix. I’d like to think the video portrays that diabetes is a massive hassle but life goes on and it’s just something that some people have to deal with. Dahlia thinks the video is “Pretty Cool” and we hope others relate to her words of wisdom. So, what is the fourth way “change” manifests itself in this three-minute film? Well, it’s more of a projection than an interpretation, but through Hitchcock’s showing of how his daughter lives with and feels about having type 1 diabetes, the film as a whole is a great catalyst for change, which has the potential to encourage viewers to ask their own “hows” as it relates to diabetes and progress. Mainly, how can we stop a child or any individual from developing and having to live with type 1 diabetes in the first place? Visit LoadingDocs.net/BloodSugar to learn more about the film and be sure to follow @BloodSugarDoc on Twitter. Discover more of Joe Hitchcock’s work online at: JoeHitchcock.com.